A new contribution to the CD Project: 'Love won't' by Kin-San Westwood. If you have a homepage, than you want to tell the world that you have a homepage. What’s the best way to attract more visitors to your homepage? And more important: how do I do that without receiving spam on my email account? Read more in the section "Creativity, Webdesign - tips, Promote your homepage"
Running a site is not an easy task to do. Sure, creating a page is not so hard nowadays, even if you are not familiar with HTML because you can download several software tools to ease the job. Another thing is that you have to keep in mind that not everybody uses Microsoft’s Internet Explorer. Some people still use Netscape (I am one of them) or even use Opera to surf the net. I am getting tired of sites that are not compatible with my browser, it really is annoying and I will not visit such a site a second time around. Go to the section "Creativity, Webdesign - tips" to read the complete article. You can now submit your free ad! We offer you the possibility to send postcards (you already could, but now you can pick up even more pictures) to your friends. But that's not all: you can also place a free (gratis) ad on our new Service page. On this way you can place an ad if you are looking for friends, a partner, someone to fall in love with or whatever. 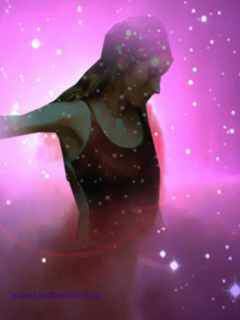 You can also upload your images on our server if you want. And you can also sell things as well for free! No hidden fees or whatever. Place your free ad or sign our guestbook, send postcards to your friends etc. We run a mailing list since August 2003 and we have received messages from all over the world from fans who would like to discuss with each other about topics that they like. We cooperate with the people from novaforums.com to make this mailing list a success, but it can only be a success if you will join us. Perhaps you wonder what is the mailing list is all about? I understand that and that is why I have decided to put some mailings on our site. You can find this under the section “Mailing List”. You can also subscribe to the list via this section, if you want. Membership is free and it has nothing to do with spam! I hope to see your subscription! The Heather Nova mailing list Become a member! it has now it's own place in the cyber ocean. Heather's baby boy was born on Monday January 26th in King Edward's Hospital in Bermuda. Both the mother and the baby are fine. The baby's weight is 8 lbs and 12 oz (about 4 Kg). What can I find on this new site? Perhaps you wonder 'What can I find on this new site? ', the answer is: a lot of fun! We offer you the possibility to join the project and you can listen to tracks that will be released on the album. And don't worry: you won't hear a cat on a roof singing (me) because I can't sing and I have decided to give others the change to sing instead. I am better with instruments in the first place! I hope to create a video clip for the project as well, a short introduction sample that I created on the CPU can aslo be found on the 'sister' site. But that's not all because you can also join the Heather Nova mailing list as well via our 'sister site'. You can also subscribe to the list via the section "Become a member"
You can go to the section "Multimedia, Videoclips, live video of Heart and Shoulder" to see a live video from Heather, doing the song "Heart and Shoulder" that you can find on the Siren album. Heather gave an interview at the AOL studio where she also did an accoustic performance. If you want to hear Heather at the AOL studio, you have to go to the section "Multimedia, Audio, Heather at the AOL studio"
Heather had also an interview by telephone with an Irish radio station. You can hear the interview if you go to the section "Multimedia, Interview on an Irish radio station"
It has been a while, but now I have some good news according the CD Project: “I have found a few musicians to cooperate with the project to make it a success. I have found a singer, she has got a lovely voice, who is willing to sing a few songs. Including a song from Heather’s latest album ‘Storm’. Perhaps you wonder what is the project all about. 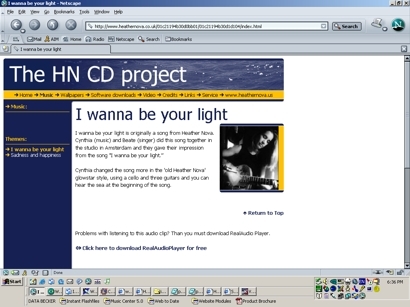 Well, the Heather Nova CD Project is a nonprofit project done by Heather’s fans just to handle it over to Heather as a gift to show her how much we appreciate the music she makes. We will, of course, give the members from the mailing list the opportunity to receive their free copy from the CD as well (people who cooperate with the project will have a copy on their own of course). 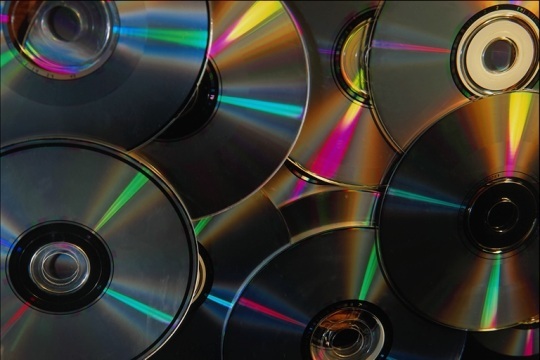 The CD production is done in Amsterdam, the Netherlands. We are familiar with distance problems for fans who aren’t living in the Netherlands to come by and do your thing in our studio, which is why you will find a shareware version of CoolEdit on the HN Online Magazine that you can use for twenty_one days that enables you to do multi track recordings and create MP3 files that you can send over to us for the project. 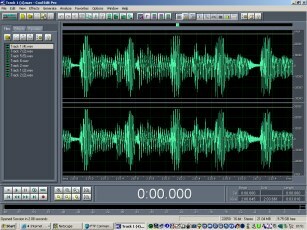 Go to the section "Creativity, Multi Track recording" to find out more about CoolEdit. now you can send HeatherNova postcards to your friends to wish them a merry christmas and a happy new year! Or whatever the reason might be! sent to your friends and family. It is also a fantastic way to promote Heather Nova! see the wallpapers under the section "Creativity, HN Wallpapers, Theme Glowstars"
We received an email from Adam St. James, who wrote the article "Basic Chords" that you can find under the section "Creativity". 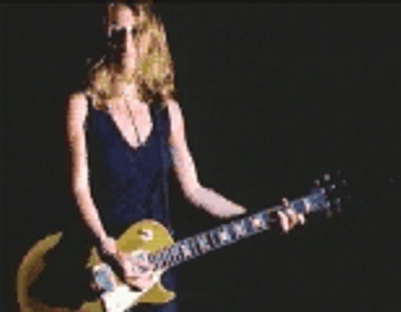 Your chord lessons are great and I know that a lot Heather Nova fans will like them as well! many tips I got from great players such as B.B. King, Steve Vai, and more. Letters will be published under the section "Mail, Letters and comments"
Heather did a short interview in Belgium on August 13 at Leuven. 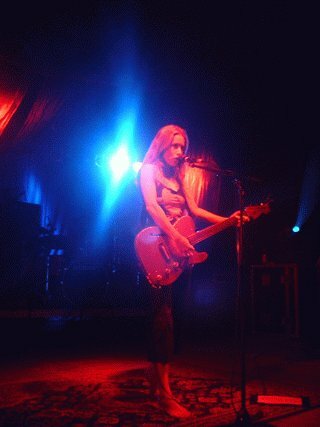 The occasion was her performance at the Marktrock Festival 2003. "Multimedia, Interview, August 13, 2003 at Leuven"